The brand Mixcder might not be too famous to many and it’s a completely new brand from nowhere. The brand doesn’t matter, what matters is the quality it delivers. Mixcder is specialized in delivery audio products with latest Bluetooth technology. It keeps a keen focus on the design as well as the sound quality. 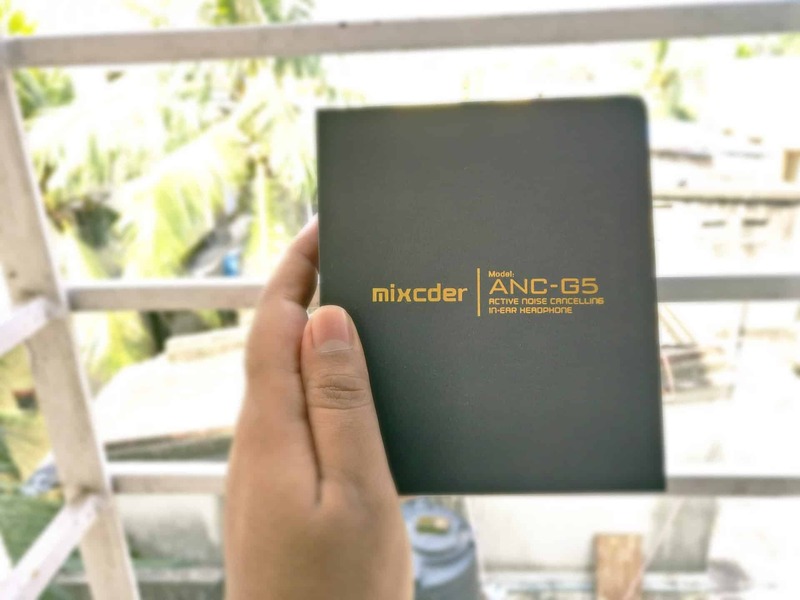 We got a chance to get our hands on Mixcder ANC-G5 Active Noise Cancelling Earphones.The Mixcder ANC-G5 earphone comes in an attractive packaging with a superior quality carry case. Along with the earphone, there are 2 separate sets of earbuds of Medium and Large size and a USB cable to charge the earphone to enable Active Noise Cancellation feature. 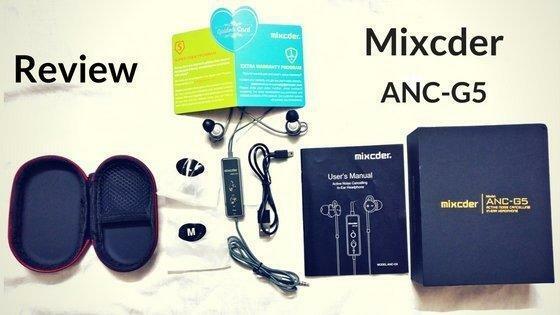 The Mixcder ANC-G5 is an active noise canceling earphone, comfortable than most of the ANC earphones out there . It is a wired earphone with oval shaped earpieces to fit in your ear in an angular direction. Initially, you might find it a bit difficult to adjust with the design but gradually you will get used to it. The look of the earphones is full metallic which might be stylish for one and boring for another. One part of the earphone wire is made up of the regular rubber and another part of the earphone which holds the 3.5 mm audio connector is made up of fiber like material, thus making it less fragile. Along with the strength, it looks premium. There’s a fine balance and it assures comfort when it’s in action. The 14 mm drivers are shaped cylindrically. The loop present can be adjusted depending on the size of your ear and comfort zone. 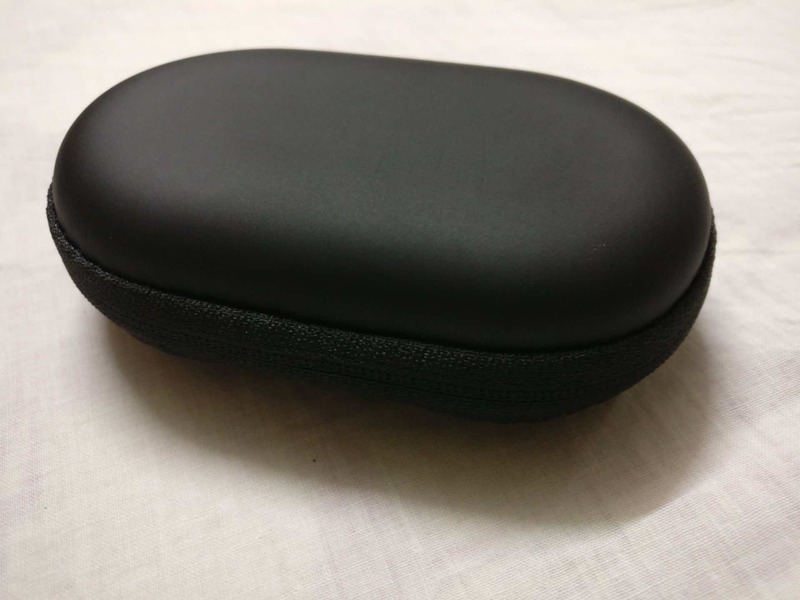 The earphone comes with a hard case to carry the earphones and couple of additional ear buds. 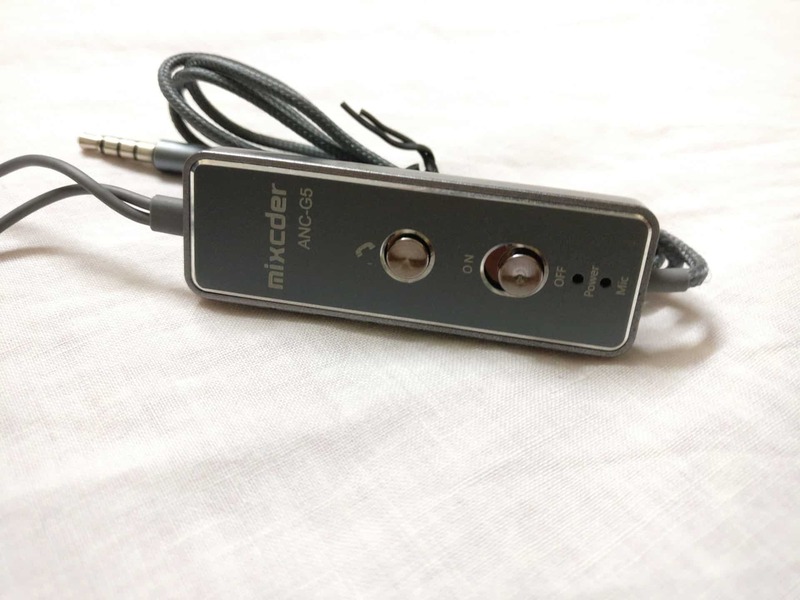 The Mixcder ANC-G5 is an active noise canceling earphone. The active noise canceling feature aka the ANC works perfectly as mentioned. With the competitors being mostly excessively priced, the Mixcder ANC-G5 is the best you could get if you are looking for an active noise canceling headphones. The noise cancellation can be turned on and off with the help of the remote button which is present on the earphone controller. The earphone uses a micro USB cable for charging and the battery lasts around 10 – 11 hours and takes about one and a half hour to charge. You can charge the earphone via any USB charging device or additionally you can use a 5V 1A wall adapter. The sound quality in this earphone is almost close to perfect. The deep voices of the artists can listen cleanly and they also have a good level of the base. The mids and highs are pleasing to the ears. 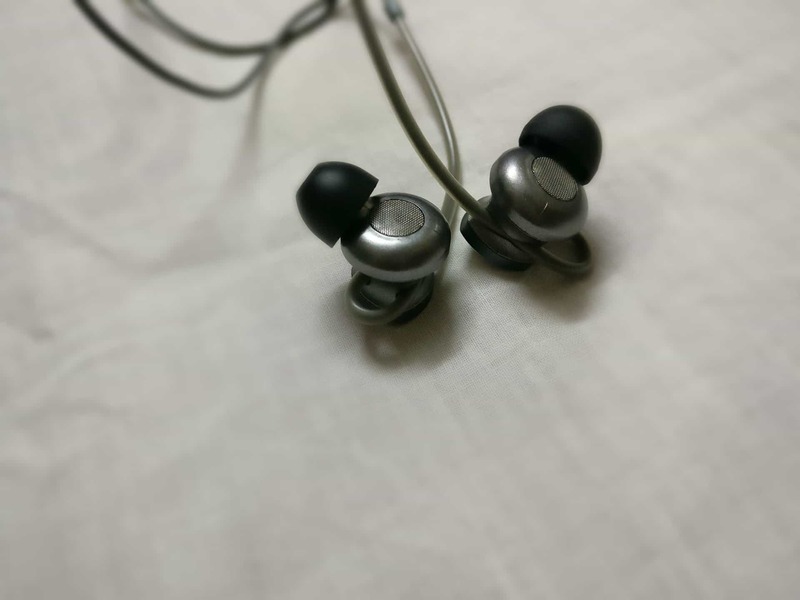 Taking these into consideration, these earphones are capable of delivering the quality which is similar to those of renowned brand’s noise canceling earphones. It was tested in an indoor condition where there was no noise to disturb the sound play. It performed extremely well in indoor conditions without ANC. While we moved on the streets, to test ANC-G5, we tested the ANC feature. ANC increases the sound and bass to kill the noise. The ratio of sound enhancement with and without ANC is about 10 – 15% only. In very loud outdoor condition, we did hear some noise. The Mixcder ANC-G5 is indeed a great choice among the budget Active Noise Cancelling earphones with a good build quality. Though the price is a tad on the higher end, I would say at around $35-40 this would be the perfect set of ANC enabled earphone. Check out the Mixcder ANC-G5 Active Noise Cancelling earphone at Amazon. Next articleWhy Didn’t Wearables Take-Off? A Dreamer A Traveler | Tech Enthusiast & A Gadget Nerd E-Commerce expert by Profession, Tech Writer by Passion. Asus Zenbook 13 UX333FN Review – The Most Compact 13-inch laptop I’ve used!